Spain's Prime Minister announced Monday that his country would take in a stranded ship with 629 immigrants on board after Italy's new populist, right-wing government blocked it from docking on its shores. 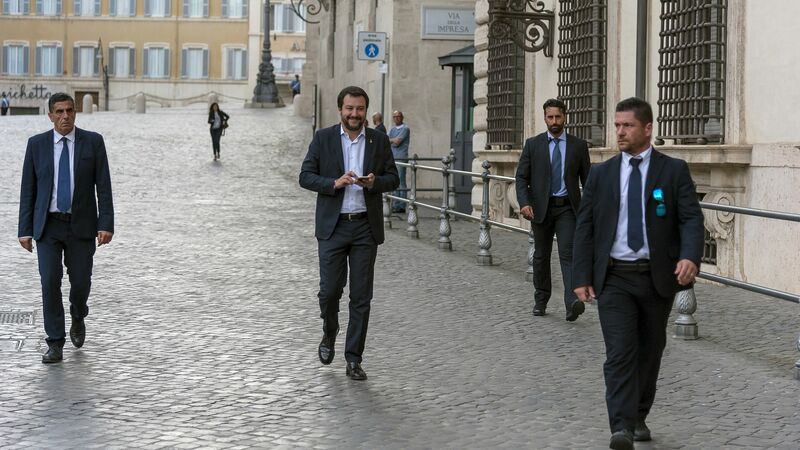 Why it matters: This is the first concrete action from Matteo Salvini, the leader of the far-right League party and Italy's new Interior Minister, to back up his anti-immigration rhetoric. Salvini tweeted about the ship several times yesterday and called Spain's move a "victory." Salvini has indicated he plans to turn away such ships in the future as well, which could lead to a humanitarian crisis in Europe. An estimated 3,100 migrants died at sea trying to cross from North Africa to Europe last year. SOS Méditerranée, a European humanitarian group, initiated the rescue mission in Libya. The 629 migrants included 123 unaccompanied minors and seven pregnant women, according to the BBC. The ship —The Aquarius — was blocked from docking at Italy's ports, with Salvini tweeting "Italy is done bending over backwards and obeying - this time THERE IS SOMEONE WHO SAYS NO," adding #closethedoors. By Monday, supplies were running low and Malta had also refused to accept the immigrants. New Spanish prime minister Pedro Sánchez announced that the ship would be allowed to dock in Valencia. Italian prime minister Giuseppe Conte thanked Spain for the “gesture of solidarity,” according to the Guardian.